Encroaching on far-right territory, the popular new leader of the conservative People's Party (OeVP), Sebastian Kurz, wants to slash migrant benefits and shut all Islamic kindergartens, which he says create "parallel societies". That paid off with the OeVP stealing top spot in opinion polls for the October 15 election. The far-right Freedom (FPOe) is now battling for second place with the Social Democrats (SPOe). Not to be outshone, SPOe Chancellor Christian Kern kickstarted his campaign with a video of him chatting to disgruntled voters in a pub. 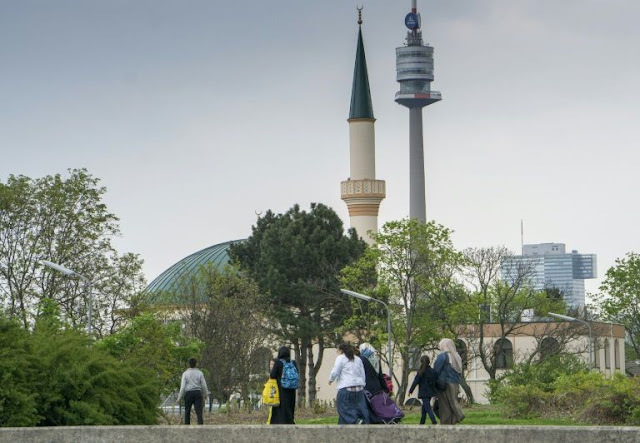 The FPOe meanwhile claims that "Islam has no place in Austria" and has vowed to replace the integration ministry with a department for the "protection of the homeland and dominant culture". In some classes, less than half speak German -- an issue the OeVP wants to rectify with mandatory language lessons for pre-schoolers.